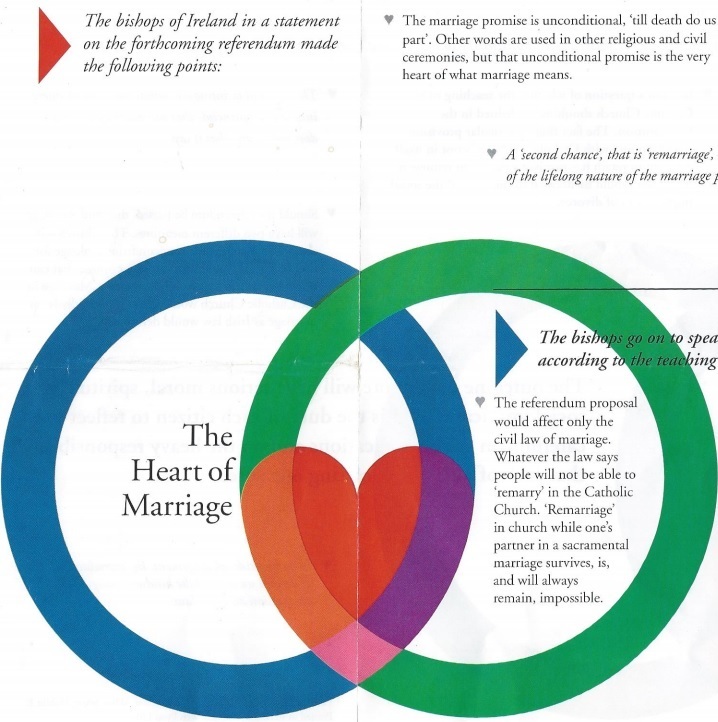 From the 1995 Divorce Referendum the Government Information booklet produced to inform voters of the merits of both the Yes side and the No side. 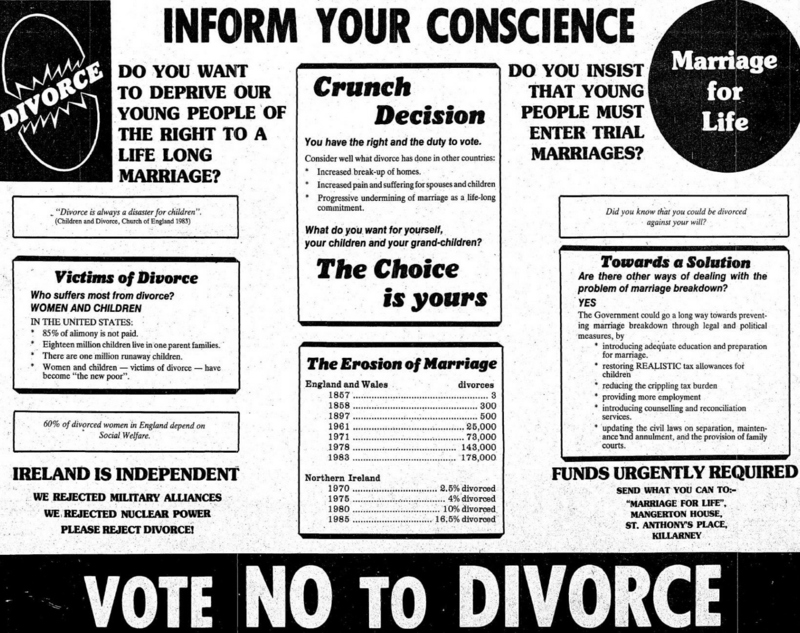 “Inform Your Conscience -Vote No To Divorce” from the 1986 Divorce Referendum produced by the Kerry based group ‘Marriage for Life’. The “Towards a Solution” section contains all sorts of remedies to stop marital breakdown whilst other parts link rejecting Divorce to rejecting Nuclear Power and Military Alliances. From the 1986 Referendum on Divorce, Fine Gael Leader and then Taoiseach Garret Fitzgerald calls “… on the women of Ireland to vote YES”. 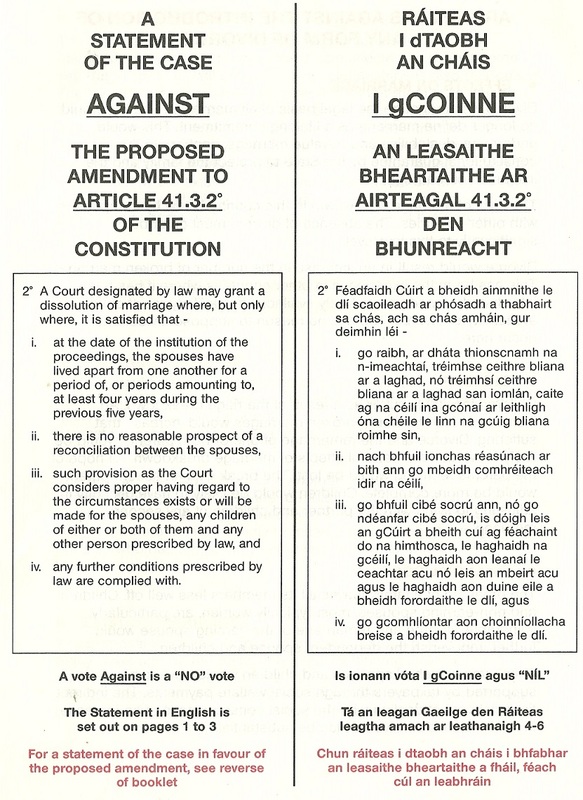 From the 1986 Divorce Referendum an ad from the “Anti Divorce Campaign Committee” with the slogan “Protect the Family -VOTE NO TO DIVORCE”. 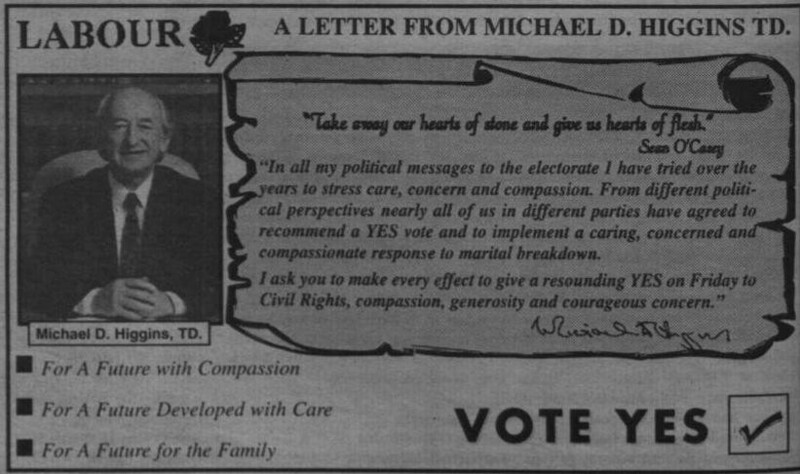 From the 1995 Divorce Referendum an ad from The Galway Advertiser Newspaper from Labour Party TD Michael D Higgins asking for a Yes vote. The Referendum was passed, but only just.